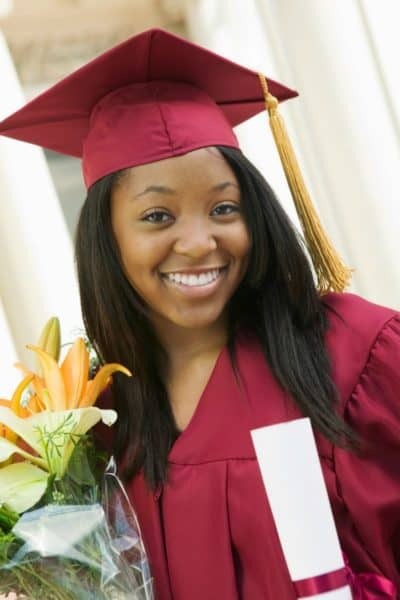 I can not tell you how many times I have heard “you are impossible to buy for” in my lifetime. Whether it is Christmas or my Birthday, all of my friends think *I* am that “impossible” person on the gift list. You gotta be kidding. You don’t know where the liquor store is!? Regardless, I do know a few people who I consider impossible to buy for, so I have been searching for some of the perfect gifts for wine lovers – here is what I have found. These things are awesome. As a white wine drinker, I know the importance of keeping my wine cold. Living in Florida it is near impossible to keep a bottle of wine the perfect temperature while sitting outside. Sitting out it gets too hot, and in a cooler, it gets too cold. So the solution – a Corksicle. 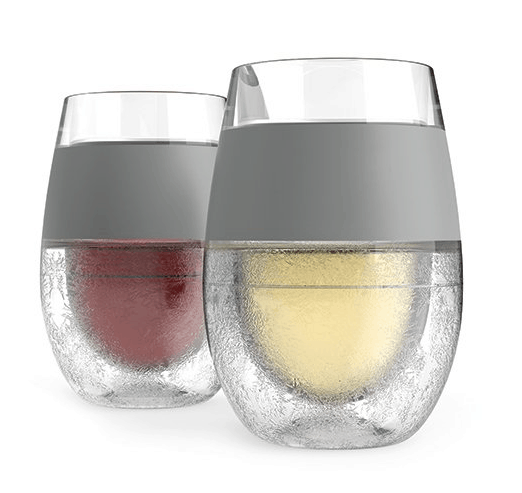 If you only want to chill one glass at a time, these Freeze Cooling Wine Glasses are your answer. 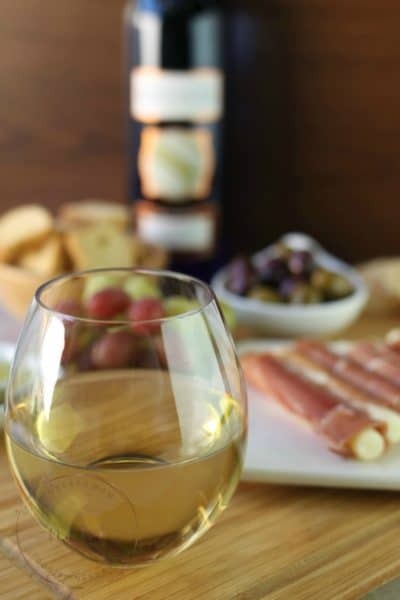 Simply freeze these glasses for at least two hours and they will keep your favorite vino as chilly as 43 degrees! The insulated silicon bands keep the glasses comfortable to hold even when they are cold. Freeze Cooling Wine Glasses come in sets of two or four and even come in a variety of colors to fit your needs. I am a firm believer in having the right tools for any job…. even opening a bottle of wine. Ask any gal with carpal tunnel and she will tell you just how important a good wine opener can be. Now, whether you need to hang a painting or open a bottle of Vino, SKIL has you covered. Opening wine just got a lot more fun. 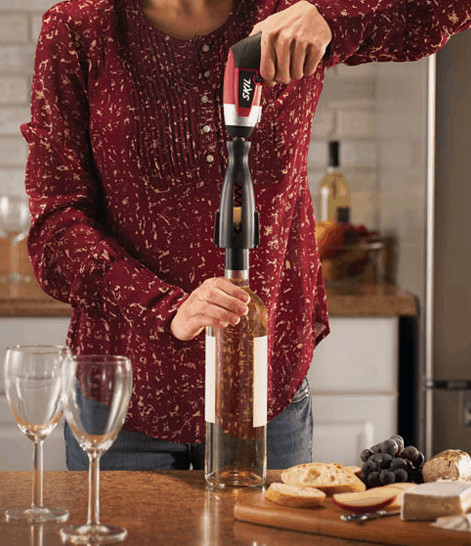 With the SKIL iXO Vivo Power Corkscrew, popping open a bottle of wine is as easy as tightening a screw. 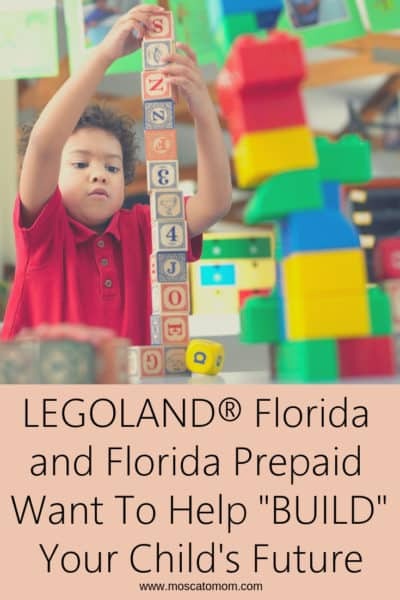 Which, by the way, it can also do. Also, comes with Foil Cutter and Wine stopper. Sure there are tons of crafty things to do with the corks from the wines you drink, but what can you do with the bottles? 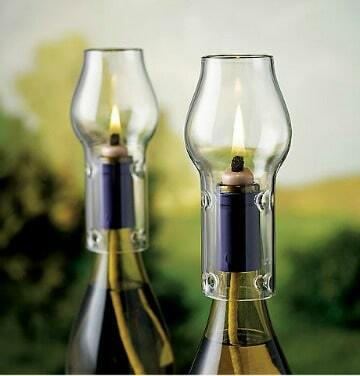 In the spirit of upcycling – and doing something chic and crafty – why not turn your bottles into beautiful oil lamps? When the wine is done, turn the empty bottle into magical candlelight. This wine bottle oil lamp kit allows you to simply fill the cleaned bottle with lamp oil, insert the wick, then top off with the glass flame. Truly a glowing tribute to the enjoyment of wine. Wicks each burn approximately 50 hours. Nothing is worse than losing your glass of wine at a dinner party and trying to match the lipstick to your personal shade. 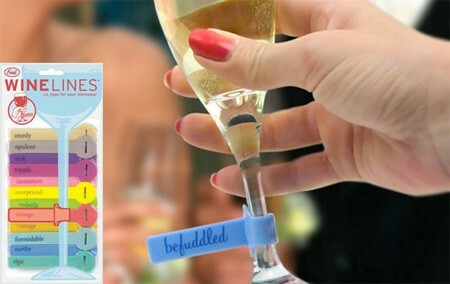 A new twist on wine charms is Fred’s Wine Lines, humorous wine tags to help you to distinguish whose is whose. Avoid a party foul with the Tovolo Steady Sticks Wine Bottle Holder – perfect for keeping your bottle close, safe, and secure wherever you are. Outdoor sporting events, concerts, or a day at the beach – SteadySticks are perfect! 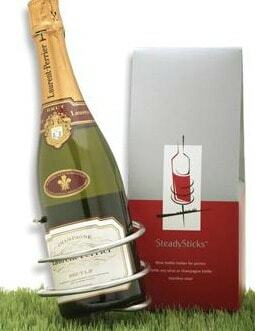 Made of weather resistant stainless steel and holds any regular sized bottle of wine. 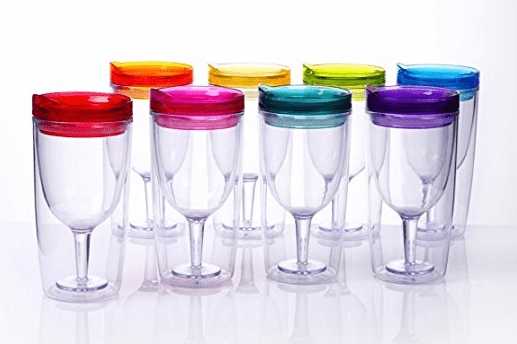 It is like a Wine “Sippy Cup” Cupture Insulated Wine Tumblers are perfect for the deck, the pool, the beach, or just anytime you want to keep your vino cool and protected. Comes in a set of eight… because no one wants to drink alone, amiright!? You know I am an aspiring runner, and most of my wino friends are runners as well… so what could be more perfect than a sports wine canteen to keep your wine with you anywhere… cause you know you get pretty parched in that third mile. 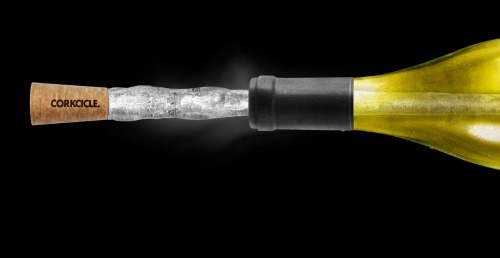 Corksicle offers a Canteen that will keep your favorite wine cold for up to 25 hours! 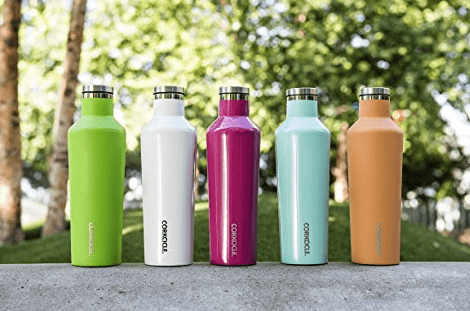 Triple Insulated with Shatterproof Stainless Steel Construction Corkcicle Canteens are available in over twenty different colors! Listen, there is nothing better after a long day then sliding into a hot bath with your favorite glass of wine. 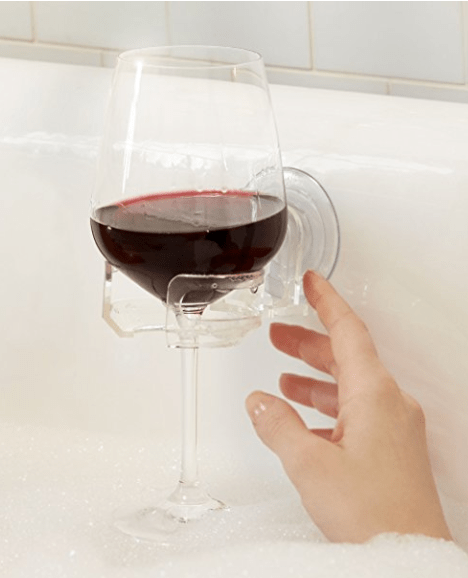 The SipCaddy Bath & Shower Portable Suction Cupholder Caddy securely suctions to the side of your tub, shower, or hot tub to give you a secure place for your glass to rest. No more trying to balance your glass on the edge – the SipCaddy holds on tight. 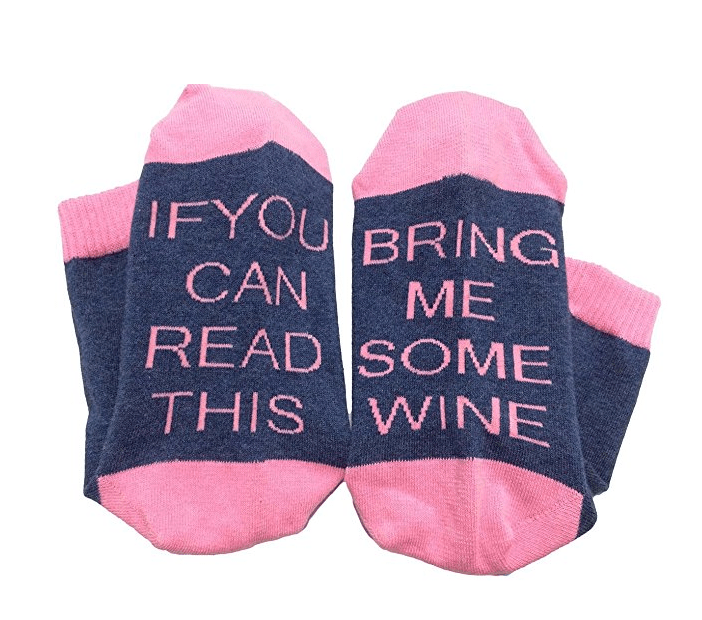 Probably one of the cutest but most well-loved gifts for wine lovers could be these super cute socks which simply read “If You Can Read This, Bring Me Some Wine.” These socks come in a variety of colors and fonts but all with the same plea for more vino, please! There are many other awesome wine accessories out there – and all of them are sure to be the perfect gift for the Wine Lover in your life! 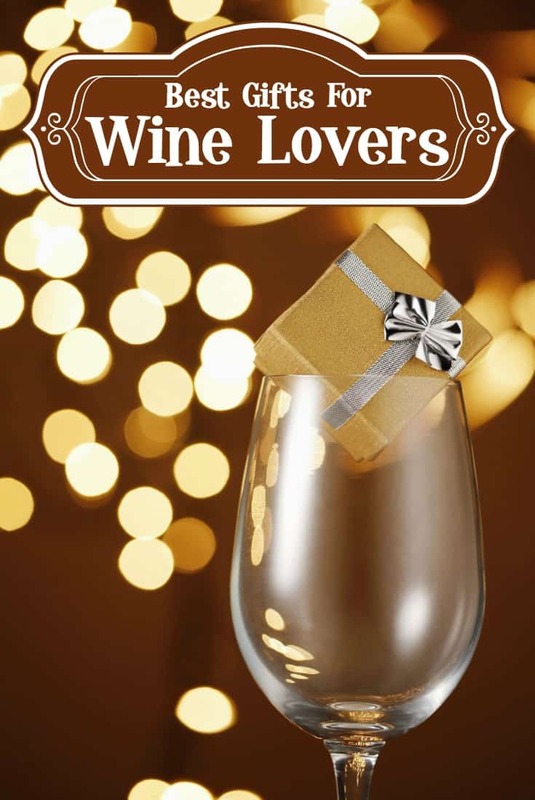 Whether you are shopping for a birthday, holiday, or just to say you care, all of these Gifts For Wine Lovers are sure to be a huge hit! 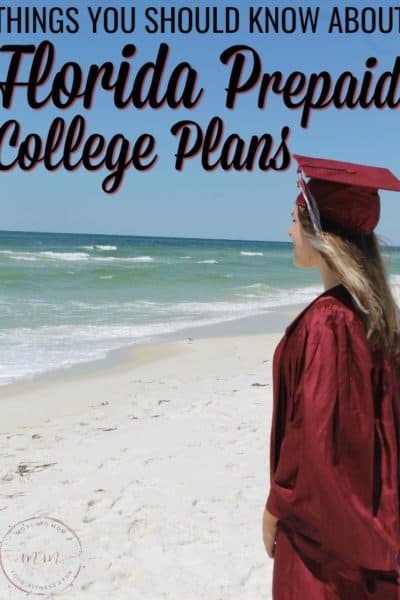 ALL THESE ARE AWESOME, CREATIVE GIFT IDEA’S!!!!!!! I love the oil lamp kit, even for those that aren’t wine drinkers I think it’s a beautiful addition to a centerpiece or outdoor party.